I am one of those people that will eat blueberries on everything (or made into everything). I absolutely love them! I was doing some Christmas shopping when I came across these. 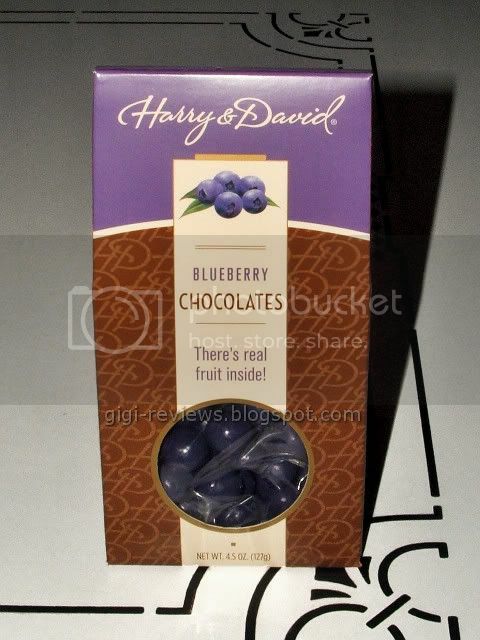 Looking at the packaging, I wasn't sure if the little candies contained whole blueberries, or if they were simply blueberry flavored -- maybe with blueberry pulp or something. "Real fruit inside," as the label proclaims, can be interpreted rather broadly. WOOHOO! I need not have worried. 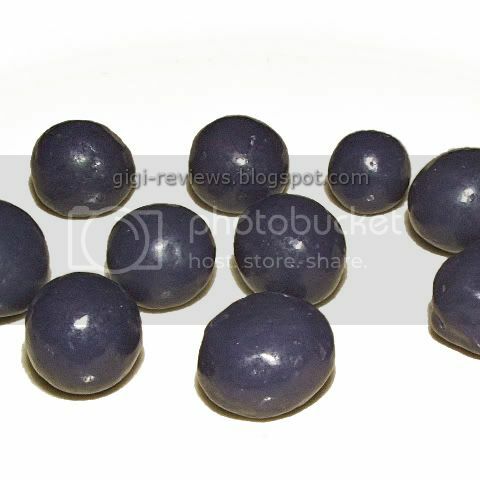 These are indeed whole blueberries encased in chocolate. 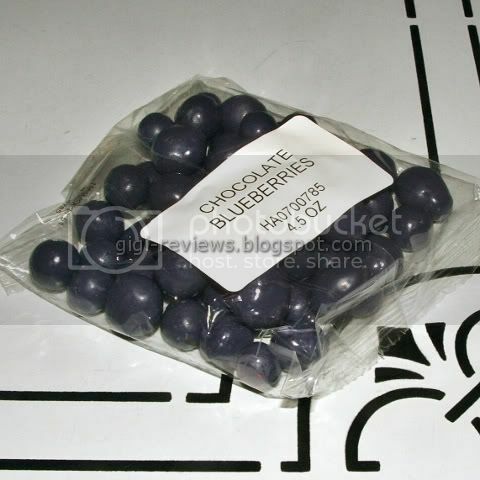 The shiny blue-purple orbs include a good quarter-inch of milk chocolate enrobing the blueberries. 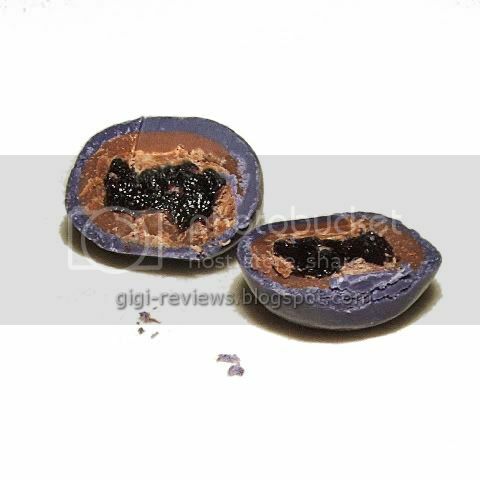 The colored outer layer seems infused with blueberry flavoring. It's not the strongest flavor, but it's noticeable. The milk chocolate is sweet, but it is quite creamy and smooth. You can taste the milk notes. It's not an outstanding chocolate in any way, but it does pair nicely with the blueberries. The blueberries were fairly large and the texture varied from one piece to another. Some of the blueberries were very plump and juicy. Others were more like a blueberry raisin. I prefer the plump berries, but the contrast in the texture keeps things interesting. This is one of those candies that you start off eating one or two, and then before you know it, half the bag is gone. Ooops, I stand corrected: The whole bag is now gone!